St Pancras Old Church first claimed its own little slice of rock n roll history in 1968 when the grounds and courtyard were used by The Beatles for a photo shoot on their ‘Mad Day Out’. 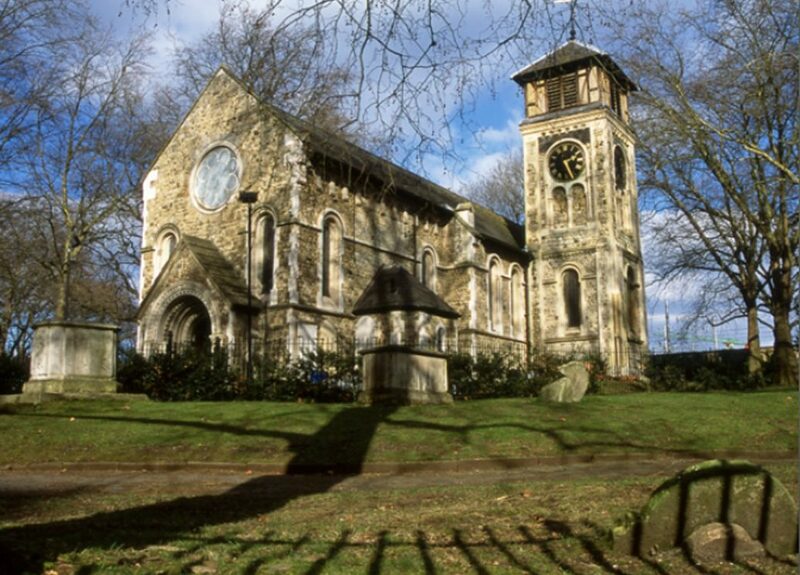 More recently, the church was set up as a music venue in 2011 and quickly became one of the most popular venues on the London circuit, establishing itself as the foremost venue for new artist’s to launch EP’s, albums and to host industry showcase performances. Please see the appeals page to help save this special venue. Accessibility Info: Small flight of stairs into the church grounds. No further steps to bathroom.